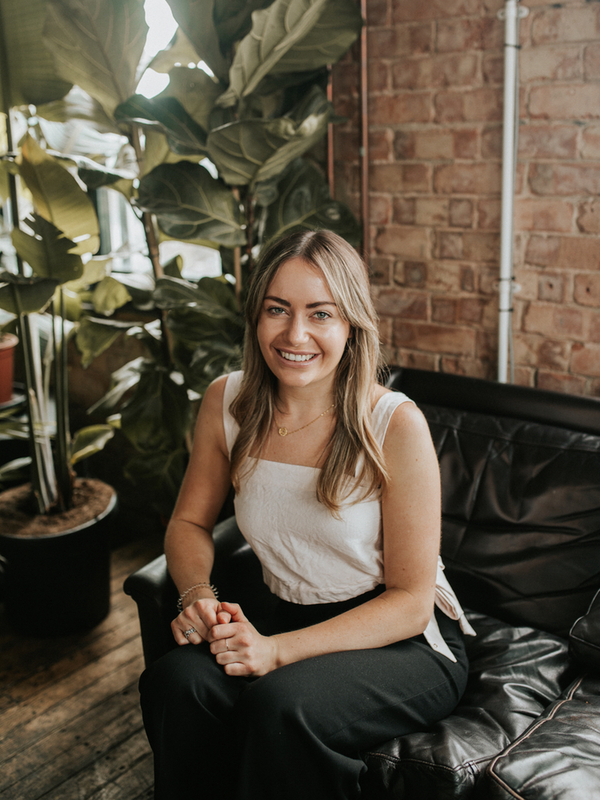 Whether you’re wondering which stylist to book your hair appointment in with, who does the best balayage or which Glasshouse girl is behind our Instagram account, we’re here to formally introduce you! You might be familiar with our team already, but the chance’s are you probably aren’t - so hopefully this meet-and-greet will give you a better idea. You might even pick up a new makeup tip or favourite East London spot on the way…. 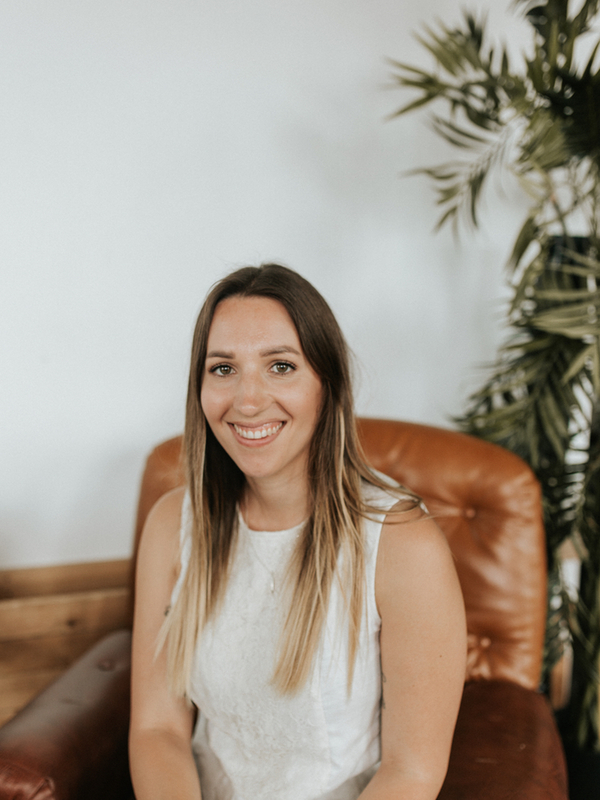 A New Zealand native, Ashleigh has ten years experience in the field and honed her hair skills in Auckland’s top salon before making the move to us in London. 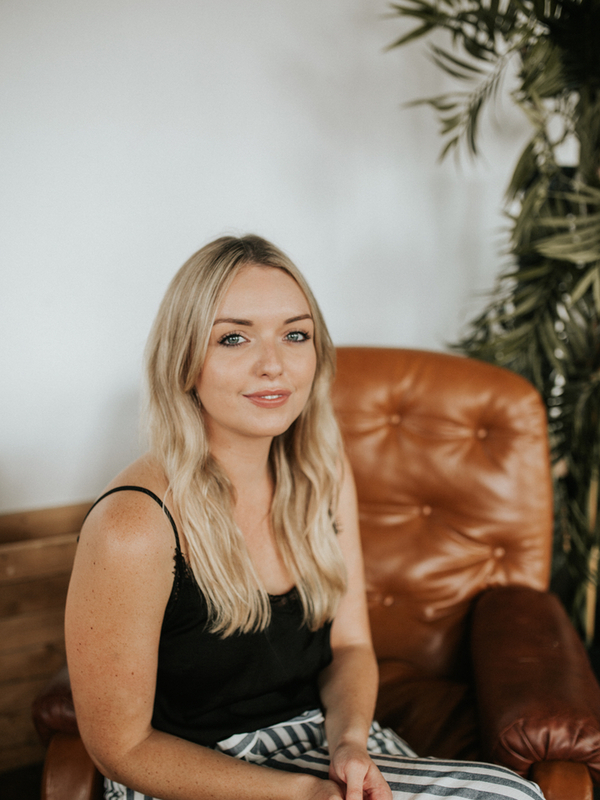 Looking for something different and more creative, Ashleigh is a Senior Stylist at Glasshouse, specialising in soft blondes, natural-looking balayages and cute, swoosh-y bobs! Why do you choose to work with organic products? I love using organic products as they keep my clients’ hair in good condition - I can create bright colours whilst helping to improve the integrity of the hair and I notice the difference in hair condition after a client has used the products even only once. From a health perspective I am also grateful to work in an environment with less potentially hazardous chemicals. I’m a complete foodie and my recent favourite find is Del 74 - their tacos are incredible. I also love Brilliant Corners for an evening of great sushi and a dance afterward, followed by a trip to Ridley Road Market Bar to end the night. I always use Organic Colour Systems’ Aqua Boost Leave In Conditioner to stop fluffiness, it’s my all-time favourite. For makeup I use Liquid Minerals by Jane Iredale for a dewy, hydrated look, and the Jane Iredale Brow Gel. I’ve also been using the Lash Conditioner by Jane Iredale recently and its transformed my lashes. I love to spend my evenings cooking and playing around with healthy alternatives - I try to eat vegetarian most of the time. I also like to go for a run in the park to switch off and get in some exercise. Mel is a Senior Stylist and resident Aussie with over eight years experience under her belt. Having moved to Hackney from down under a few of years ago, Mel loves to work with long hair and specialises in soft highlights, blondes and balayages. Mel always brings a good dose of sunshine to Glasshouse! I’ve only ever worked in more chemical-based colour salons prior to Glasshouse and so it’s been a real eye opener working with Organic Colour Systems. I love being able to colour hair with the least amount of damage, and the end result is generally much cleaner and more beautiful. Mare Street Market just next to the salon is such a great new spot and the food is amazing. It’s also dog friendly which I love, where else is it acceptable to spend your evenings petting other people’s dogs..? I colour my hair and find the PowerBuild Revamp Treatment really helps to brighten my blonde and improve shine and strength. I always wear Liquid Minerals by Jane Iredale along with the Pure Pressed Powder for a matte finish that contains SPF. The RMS Lip Shine is also super easy to apply on-the-go and lasts well throughout the day. I love catching up with friends for a drink after work, or going to a gym class. Having grown up down under in Perth, Michelle spent three years in New York as an editorial stylist before moving to London in 2018. With years of experience in the salon and on the catwalk under her belt, Michelle is bringing her fashion week expertise and creative flair to the Glasshouse floor. She is an expert with highlights and creating personalised, stylish cuts. When I was living in New York I found the city overwhelming in many ways but one of the hardest things to witness was the lack of care and love for the planet. There was a lot of material and food waste and a vast amount of mass marketing for brands that were harmful to our planet. Experiencing this on such a large scale prompted me to educate myself more and ultimately change my way of living. I began living an organic and vegan lifestyle and have since tried my best to do more to promote change, hence my new love of the Glasshouse ethos, Organic Colour Systems and the other beautiful ranges we stock. What’s your favourite local hang out? I’m a massive music fan and I’m really loving the new multi arts venue EartH in Hackney. They curate regular events with inspirational artists and also host vintage flea markets. The Hackney Downs Vegan Market is also brilliant for any vegans in London. I follow the host @fatgayvegan to find all the best vegan restaurants London has to offer. I’ve been a hairdresser for 16 years and I have to say, the Power Build Revamp treatment is a miraculous product. I’ve honestly never come across a treatment to reconstruct the hair so well, plus it’s made with natural quinoa proteins. I’m also in love with the Evolve Hyaluronic 200 Serum that keeps my skin hydrated, and the Guy Morgan Dagger Rose is a beautiful balm for sensitive ageing skin. I’ve previously found it hard to find organic products for fine lines that don’t react with sensitive skin but I am so pleased with the results from both of these products. I’m a lover of markets, so you will often find me searching for locally farmed produce, plants, vintage clothing and artisan crafts in my spare time. I like to pick up a pencil and draw every now and again, or I love escaping the city to find a new place to hike! I love going on adventures and meeting new people along the way, or using the time in nature to find a quiet moment to spend with my husband away from technologies and everyday responsibilities. A local East London girl, Esme is our talented Salon Assistant and an essential part of the team keeping the salon in perfect shape and providing immaculate blow-dries every time. Esme is also a whiz with our range of organic makeup having just graduated from her Hair, Makeup and Prosthetics course at London College of Fashion. Having grown up with an organic and vegetarian lifestyle (thanks mum!) I have always been conscious about the ingredients I put on my face and body. Whilst training in hair and makeup I was working with heavy products all day and it was important to me to make sure the ingredients weren’t harmful in any way. Glasshouse is now the perfect place to discover even more high performing natural and organic products that I can work into my life and my own makeup kit. Cafe Route in Dalston have a vegetarian brunch menu to die for, and I love heading out for an evening of dancing at The Three Crowns in Stoke Newington. A great summertime spot is the Dalston Curve Garden; it’s a little nature haven in the middle of London where you can bring your own food and hang out for the day with live music, or visit the Garden Cafe for freshly made, seasonal food where profits go back into the Hackney community. They have a great social and environmental ethos and make sure that everyone takes home their own waste on their way out. I use the Ilia True Serum Foundation religiously, it provides a fuller coverage and an even finish that’s unbeatable. I have slightly dehydrated skin so I also love to use the Hyaluronic Serum 200 by Evolve along with the Guy Morgan Dagger Rose Treatment Oil - I actually add a couple drops of this to my foundation in the morning for a more dewy finish. When I get a spare minute I love to run myself a deep bubble bath and completely zone out, or just cosying up on the sofa with a good film. I also love going for a day out with the girls to one of the many exhibitions in London or for lunch at Pizza Union - because who doesn’t love a good pizza! 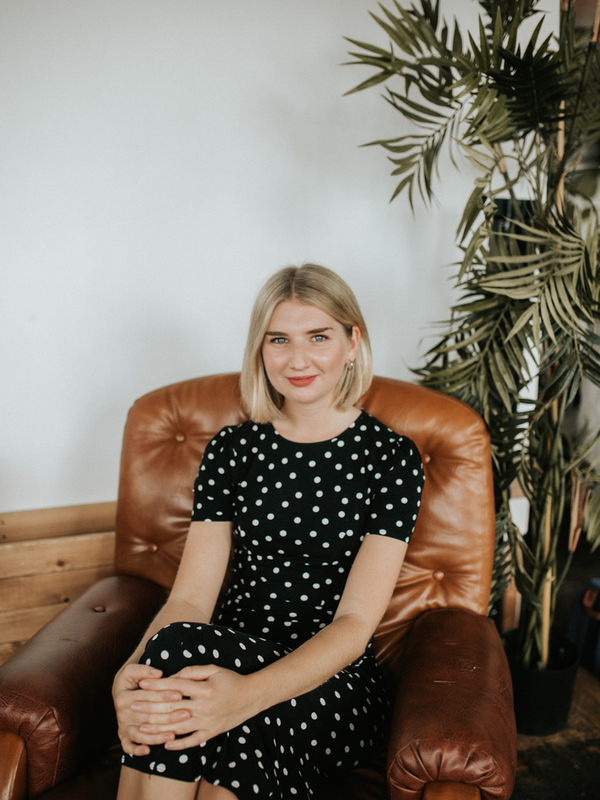 Lucy is the Business and Communications Manager at Glasshouse, heading up the creative (and not-so-creative) sides of the business, taking care of the team and overseeing both the growth of Glasshouse as well as the day-to-day running of things. With a journalism degree from London College of Fashion, she’s been in the city for eight years, during which she’s done all sorts - from working at fashion magazines and assisting designers to flipping burgers in Soho (don’t ask). With a love of writing and styling, you’ll mostly find her in the office adding to her to-do list. It’s a no brainer for me and I’m thankful every day to be in a job that allows me to work with and discover such an inspiring range of brands, products and individuals who are quietly revolutionising the way we look after our skin and hair. I’m a bit of a foodie and have always cared about what I eat, so extending this ethos to other parts of my life seems natural. Did I mention my hair is in better condition than ever? I live opposite the salon and my friends joke that I can go weeks without leaving Hackney. They may be right. I’ve recently discovered Uchi on Clarence Road - the cutest sushi spot with divine decor and equally as divine (and authentic) Japanese food. I love Yeast for a Saturday morning pastry and The Gun for a Saturday night dance. Other regulars include Turkish food on Mare Street (Tad is the best) and weekend Bloody Mary’s at The Spurstowe. In summer, you can’t beat a dip in London Fields Lido. There are two products which I go to when I want to turn my bathroom into a mini spa. Sans [Ceuticals] Bio Active Exfoliant uses fine bamboo granules to gently slough away dead skin and Guy Morgan’s Midnight Black Cleansing Mask leaves my face looking glow-y and feeling toxin-free. 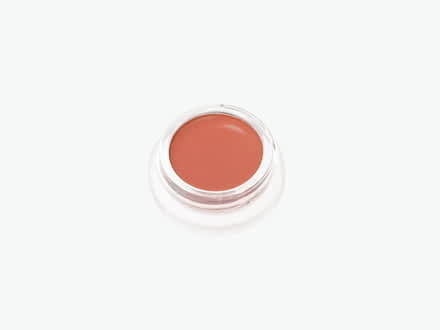 For makeup, I love RMS’ Lip2Cheek in Paradise - a subtle coral that makes lips pop and leaves cheeks looking peachy. Finally, I can’t go anywhere without Jane Iredale’s GreatShape Brow Kit - for polished brows with no harsh lines. My days are often spent juggling multiple things and running between the salon and our upstairs office which can leave me feeling frazzled. When I have a particularly chaotic day, it’s straight in a hot bath. Candles, eucalyptus oil, a hot muslin cloth on my forehead and Desert Island Discs in the background. And a very cold glass of Sauvignon Blanc. If that doesn’t work (how can it not?! ), then cooking a really long-winded, complicated recipe from scratch is my own weird way of switching off and re-focusing. 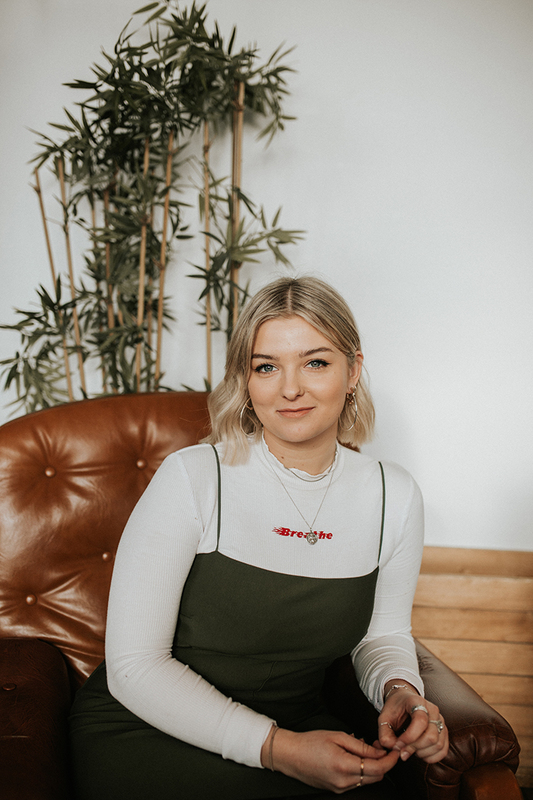 Based upstairs in our office, Phoebe is our PR and Social Media Manager, dealing with all things press-orientated, managing our Glasshouse social media and planning upcoming events and collaborations. 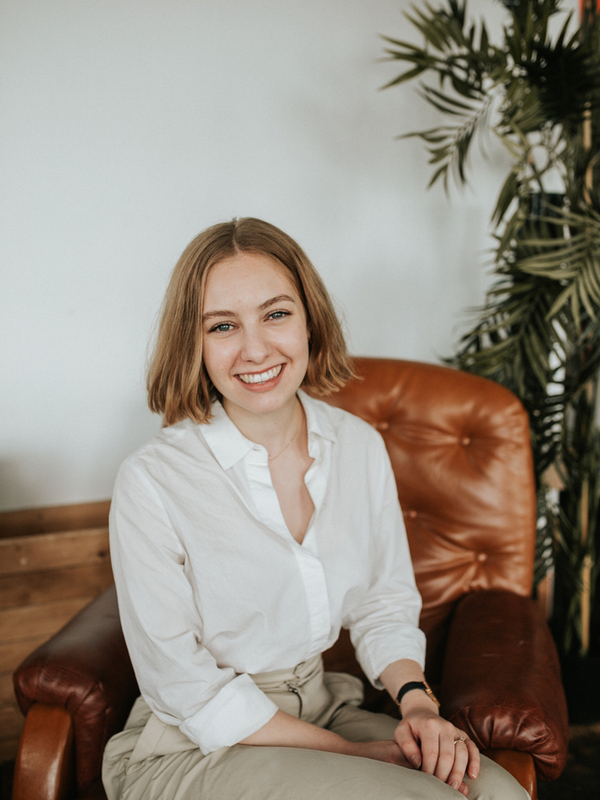 With a background in beauty PR, Phoebe knows her stuff better than most and also happens to have a great eye for photography and graphic design. For me it’s about paying attention to what I’m putting into my body and being a conscious consumer. I care about the ingredients I am using and so I want to support brands that are also putting that time and care into their produce. I believe making changes to your everyday skincare, makeup and haircare products can have a huge impact on your overall health. Confession! I’m actually a South East Londoner and so I usually end up on the other side of the river most nights, but Jidori in Dalston is my favourite East London spot for amazing Japanese food, a glass of sake and a super casual evening with friends. During the day, I love to head just around the corner to Pavillion Bakery for great coffee, artisan bread, pastries and an amazing Lentil Dahl which you just need to try. I like to go for a natural look most days and RMS Un-Cover Up provides the perfect amount of coverage without being too heavy. The Ilia Limitless Mascara is also a favourite of mine, it really lengthens and separates the lashes. At home my favourite is the Gogi Body + Face Cleansing Oil by Sans [Ceuticals]. The fragrance is beautiful and leaves my skin feeling super soft, plus as with all Sans products, I love that it fits right in with my home décor! I love to spend time reading a good magazine with a green tea, or a glass of red depending on what kind of day it’s been! I try to put my phone away as early as possible and resist the urge to ‘scroll’ – I spend a lot of my day managing social media and so it’s important that I have a break from technology. I light candles around the room and completely switch off from the world. On weekends, nothing feels better than indulging in a lazy morning with a pot of coffee and maybe a homemade cinnamon bun. Emily is our Front of House Manager and usually your first port of call at Glasshouse, heading up reception and managing our bookings. A qualified makeup artist, Emily is a beauty industry pro as well as an organisational whizz, ensuring the salon runs smoothly and our clients leave happy. Why do you choose to use organic products? I try to be conscious of what I am putting into my body, avoiding overly processed foods and sugars. In recent years this has carried over to the skincare and makeup products I use. My skin feels healthier and nourished when using more organic products and I feel better having full transparency knowing what ingredients are going on to my skin. Having taken care to look after my skin from a young age, I am fairly lucky that my skin does not require any prescriptive skincare and the natural products I use provide my skin with the nourishment it needs. For a spot of weekday lunch or weekend brunch, my favourite place to go is The Hive Wellbeing. From raw juices to the tastiest healthy desserts, they are hard to beat. Did I mention they also have an amazing selection of bio-dynamic and organic wines! Far too much would be the honest answer! If there is one thing I absolutely cannot live without, it’s a good concealer and my current favourite is the RMS ‘Un’ Cover-Up. While light in texture, it has the perfect amount of pigment and on good skin days can be used on it’s own to lighten under eye circles, conceal any redness around the nose area and on the chin. The secret to this concealer if you have slightly oilier skin is to set it ever so lightly with a loose translucent powder. This prevents it from creasing too much under the eyes. After a long day / a long week my ultimate unwind would be to go for a long walk in Hampstead Heath, which is something I make sure I do at least twice a week. The quietness of Hampstead Heath and the fresh air makes it feel like I am no longer in the city and it gives me the opportunity to clear my head of any stresses or negative energy. 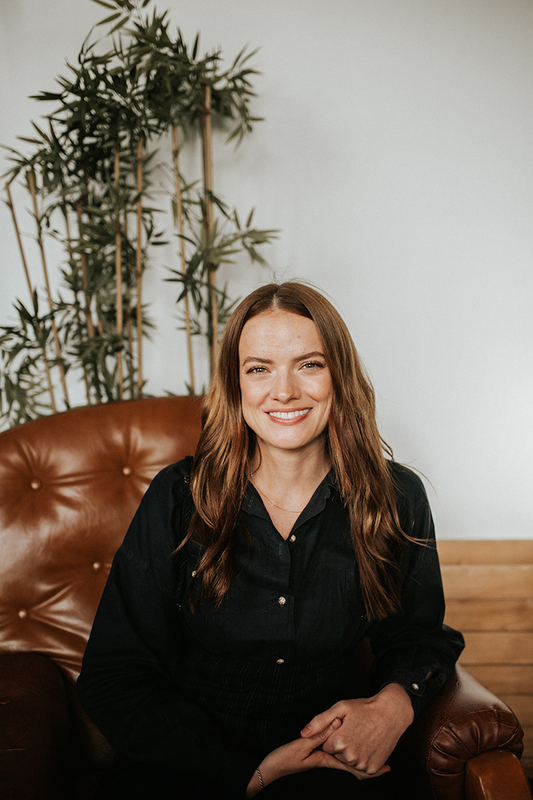 Olivia is the founder and director of Glasshouse Salon, launching the salon in 2013 after wanting to bring natural, organic and ethical hair and beauty to a wider level. A trained hair stylist and New Zealand native, Olivia worked freelance as a hair stylist for top publications when she first arrived in London over ten years ago. 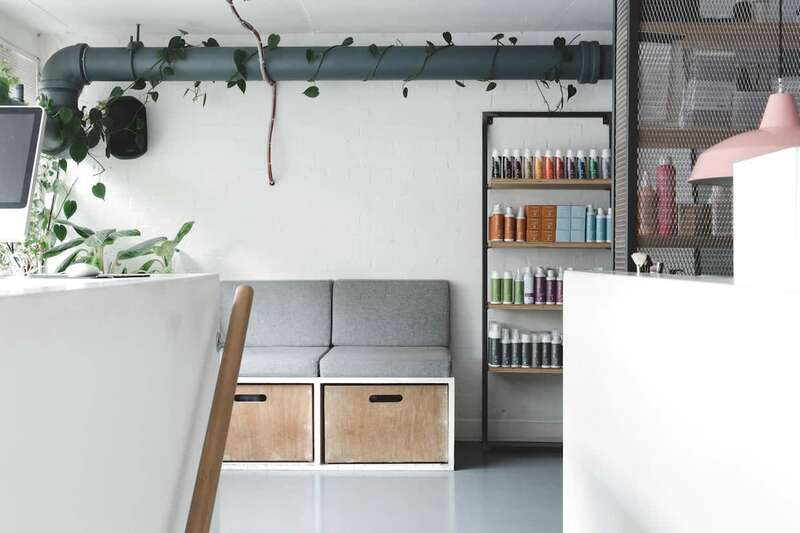 The idea for Glasshouse came after Olivia noticed a surprising lack of organic and wellbeing focused salons that put hair condition above everything else. Olivia oversees the business from top to bottom, takes care of the team (and everything in-between!) whilst juggling family life with her young daughter. There are so many great benefits to working with more natural and organically based products, my initial attraction over 10 years ago was from a health perspective. Using fewer potentially harmful chemicals and including more gentle, natural ingredients is important to me not only for my own wellbeing but for my staff and clients’. The ethos of Glasshouse Salon has a big focus on hair condition - our products minimise compromise on the hair whilst colouring and we are able to repair damaged hair on the same day - which is very unique to the Organic Colour Systems brand. When we are gentler with the hair we can achieve better, more long-lasting colour results. I also love to support local, independent brands with their ethos in the right place - everything we sell in the salon and online at Glasshouse Shop has been carefully selected for their ethical principles, unique formulas and high performance. As an independent business owner, I wouldn’t have it any other way. I love Glasshouse’s location in lively East London - I was very drawn to Netil House when I was looking for spaces back in 2012 and the community feel of of the building really appealed to me. I now live in South East London, but I still enjoy travelling in for work and knowing I get to spend my time in a building and an area that I love. I run most of my meetings upstairs in the cosy Morty & Bob’s cafe. The terrace is also lovely in the sunshine and we’re so lucky to have London Fields right on our doorstep for some peace and quiet away from the salon! I’m often on the go which means practicality is a must when it comes to makeup. I always carry around an RMS Lip2Cheek and their “Un” Cover-Up - they’re small and versatile; ideal for a quick touch-up. Jane Iredale’s PurePressed Powder provides any necessary mattifying as well. At home, I’ve been loyal to Organic Colour Systems’ Power Build Shampoo for almost ten years now. It’s an effective protein-based shampoo but the natural ingredients, gentle pH and sulphate-free formula mean it’s perfect as a body wash too. 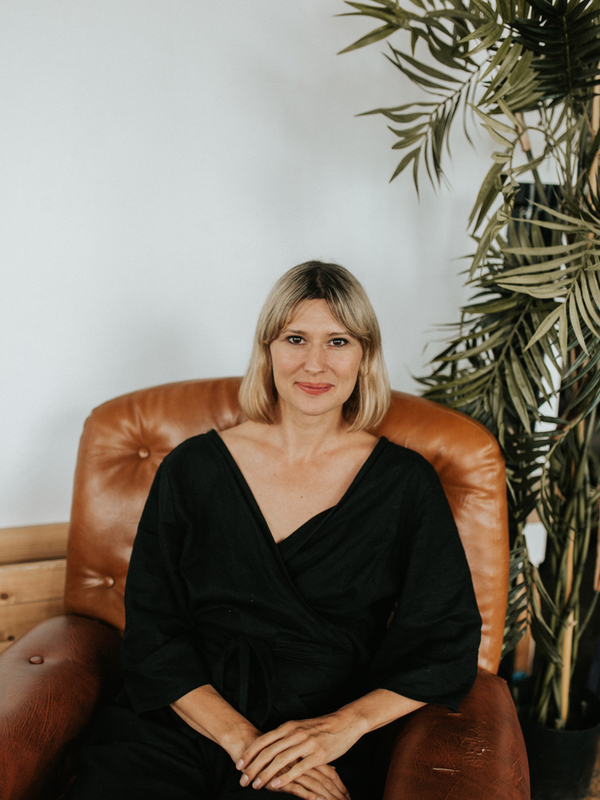 I do regular hair treatments with Organic Colour Systems’ Power Build Revamp - not just because it’s brilliant at maintaining hair condition but also because it’s a nice treat to spend 15 minutes by myself in the bath, especially with the demands of being a mum. Finally, The Natural Deodorant Co’s deodorant balms are the best products of all time - I’d recommend them to anyone looking to introduce more natural products into their regime. The ultimate fix for me is to get into nature. I love to go rambling in the countryside with my daughter, especially near the seaside as I absolutely love the sea air. On a normal day when I can’t immerse myself in nature, I love to run a hot bath with epsom and dead sea salts. It’s the best way for me to unwind and help with aches and pains after a long day. I love to ‘clear the space’ in our home by opening the windows wide to allow a fresh breeze in and infuse aromatherapy oils into the air. My staples are lavender, rosemary and frankincense. I also try to dedicate a little time each week to some light meditation and spend some time writing any thoughts, ideas, gratitudes or aspirations onto paper. I never keep or look back on the notes, but I find the process of writing very therapeutic. We don’t have a television, but I do love to snuggle up with a hot tea and a good film on my laptop as much as the next person. Available in four different shades, the Jane Iredale Brow Gel is perfect for achieving soft, yet defined brows that look natural. A mainstay in the salon and for the team at home, this is our favourite for a touch of colour on the lids, cheeks and lips.